By now you’ve probably heard about YarraBend, and you’ve almost certainly read about it. Thanks to the title of ‘World’s Most Liveable Suburb’ (recognised by trend forecasters The Future Laboratory) Glenvill’s development has been one of the most highly-talked about projects, and for a good reason. Glenvill has enlisted the help of award-winning architects, designers and industry professionals – even restaurateur Scott Pickett – to help inform and create this innovative mixed-use development, and the result is an all-encompassing community with visually striking residences and world-class amenities. Located 6.5km from Melbourne’s CBD, on the site of Alphington’s old Paper Mill, YarraBend has been built on six visionary pillars. 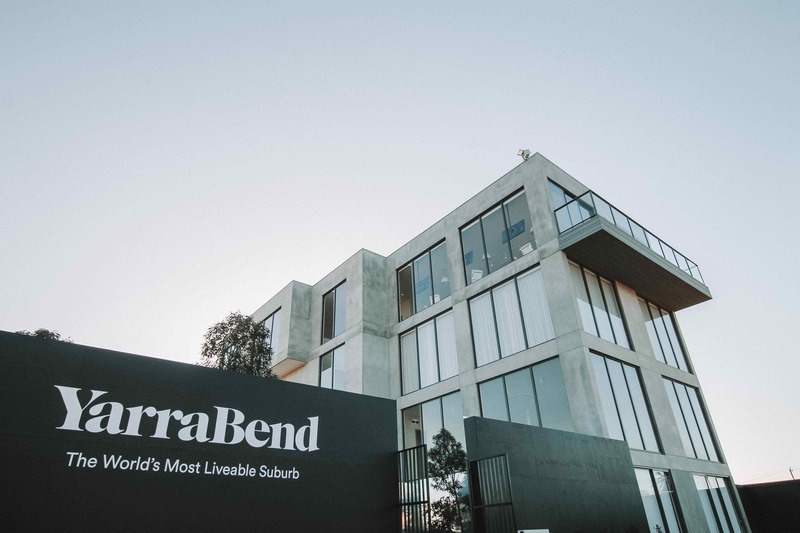 With a special focus on health and wellness, technology, food and entertainment, sustainability, art and design, and knowledge, YarraBend will transform the way we live, work and play. And future residents can experience what such a life would be like with the opening of the display suite. 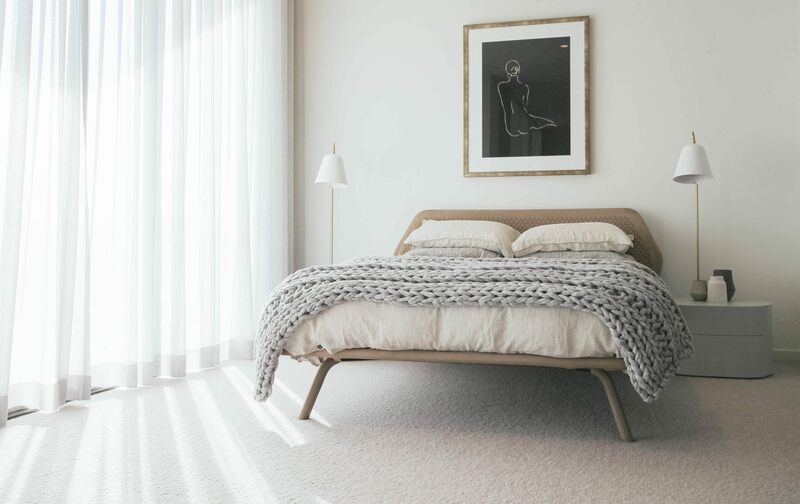 Image: Housing an art gallery, theatre and both townhouse and apartment displays, YarraBend’s new Display Suite is one of the biggest in the business. The $3.5million four storey facility is one of the largest of its kind. 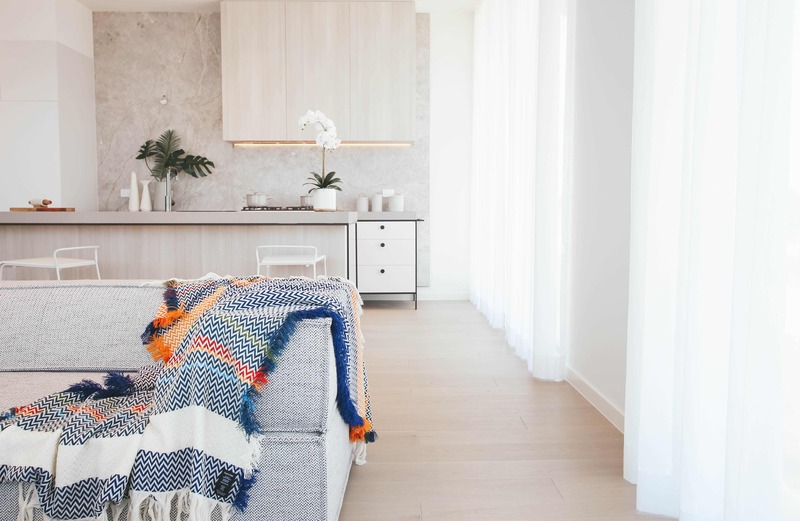 Presiding over 1,008 sqm of space, the display suite showcases the interiors of The Mills townhouses and Artisan Residences apartments, as well as immersive experiences, interactive technology and even a private theatre to portray the wealth of amenities on offer at YarraBend. Image: One of The Mills Townhouse bedrooms with furniture and styling by Meizai. Your journey begins on the ground floor, where The Paper Gallery represents YarraBend’s commitment to bringing art into every stage of the development. Paying tribute to the site’s industrial heritage as the iconic Paper Mill, the art gallery features photography of the mill by Andrew Curtis, works from street artist Rone, and paper installations by Louise Paramor. As an avid art collector, Glenvill CEO and Creative Director of YarraBend Len Warson has made a conscious decision to weave art into the founding fabric of the development, with the implementation of an annual YarraBend art prize. This will be awarded to local artists, ensuring YarraBend continues to contribute to Melbourne’s thriving arts scene. Image: Contemporary and furniture specialists, Meizai, have put the finishing touches on this Artisan Residence apartment. Next, head straight to the top floor to enjoy views across YarraBend to the Melbourne CBD skyline. 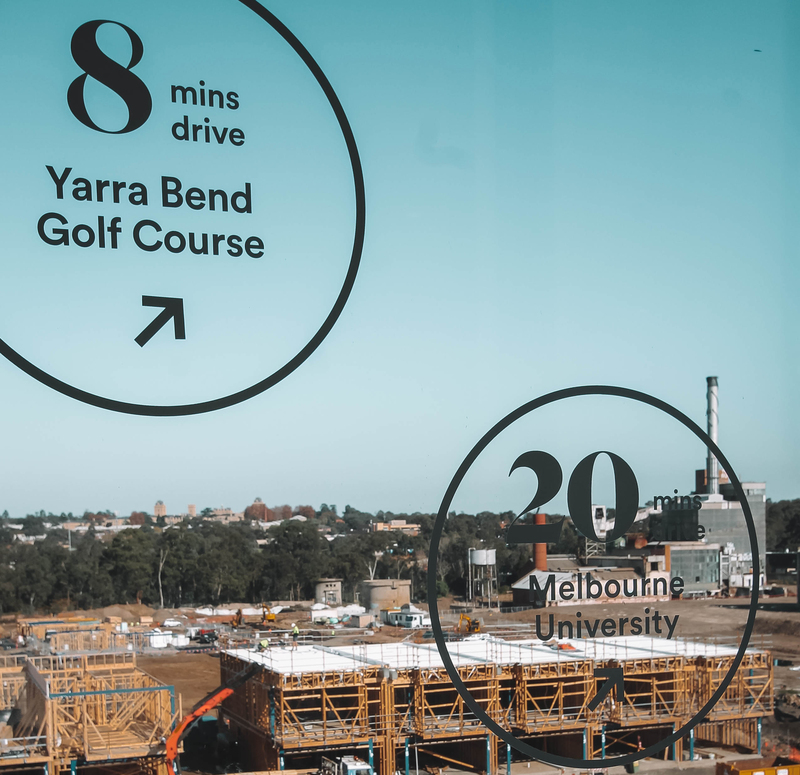 With construction well underway on the first precinct, this is the best vantage point for watching the World’s Most Liveable Suburb come to life. You’ll also find an interactive display model, designed by London-based studio Grain. Controlled by an iPad, it offers a digital experience which takes you on an animated journey through YarraBend’s six precincts and amenities. Image: Views across YarraBend down to the tree line of the Yarra River. Alternatively, settle into the plush custom-built cinema to see what life can be like in one of the most innovative developments we have seen come to market. The final leg of your journey takes place on level two. To one side, a display of one of The Mills townhouses gives you a tactile experience of the design. On the other side, you can experience the dining and living areas within an Artisan Residences apartment. Contemporary furniture and styling specialist, Meizai, has been enlisted to bring these display homes to life. Renowned for collaborating with innovators and creatives from across the world, the Meizai partnership exhibits YarraBend’s commitment to design, style and quality. The YarraBend display suite is located at 16 Parkview Road in Alphington and is open 12:00pm to 5:00pm Monday to Friday, and 11:00am to 5:00pm Saturday and Sunday. Make a private appointment, or enquire about the residences within YarraBend here.